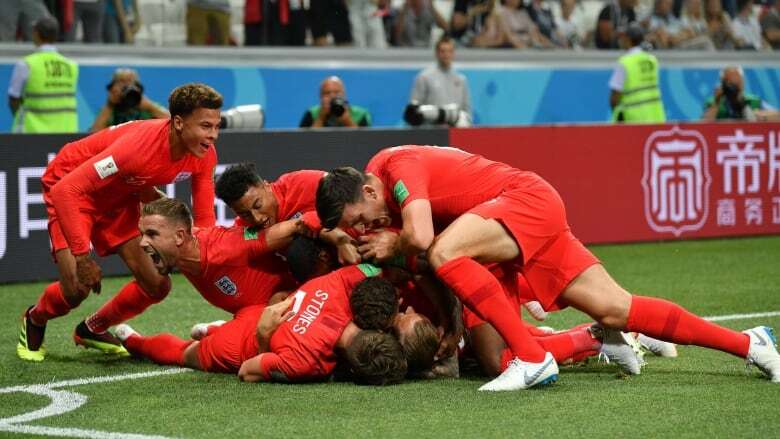 Twice wrestled to the ground during the match, England captain Harry Kane finally evaded the Tunisian defence just as time was running out. "The best teams in the world keep that belief in what they're doing," Southgate said, "and in the end they break the opposition down." "It shows the work we have put in these last few weeks," Walker said. "Togetherness and believing in ourselves." England's players later thought they deserved the same verdict when Kane was grappled to the ground twice by Tunisians on either side of the halftime break. Both times, the referee decided against punishing the culprits. "You go until the last second," Kane said, "and I'm absolutely buzzing."